This is a power distribution printed circuit board for six BL-Ctrls. 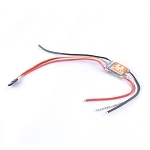 The use reduces the wiring effort in building a HexaKopters significantly. You must have a Molex connector 5pol SMD, sold separately. 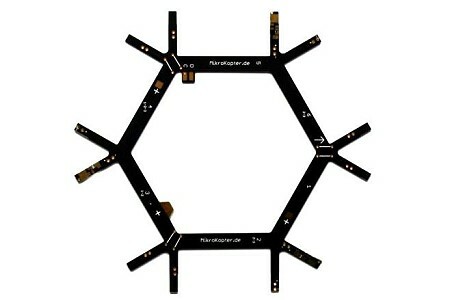 You need this part to connect your new FC 2.1 to the power distribution board. A Molex-cable can be purchased to connect the FlightControl easily. *There are 6 bridges to assemble.